Full-day class; beyond beginner level. What you'll learn: Tips and tricks for cutting and piecing the block, calculating the spacer strip, and piecing the outer border, including the double Y-seam on each corner. 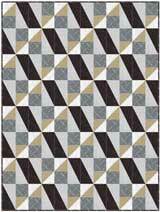 This quilt looks great in neutrals as well as many other color schemes. Pattern required. Kits available for sample shown while supply lasts. Full-day class: beyond beginner level. 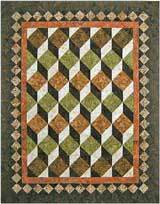 What you’ll learn: Piecing Square-in-a-Square blocks and Flying Geese blocks, squaring up blocks, creating the pieced border, calculating spacer strips. No Y-Seams! Pattern required. Full-day class: beyond beginner level. What you’ll learn: Piecing three simple blocks, free-motion quilting, and free-motion-raw-edge appliqué through layers of practice quilt sandwich. Pattern required. Full day class (cutting done before class): beyond beginner level. What you’ll learn: Trip Around the World, Flying Geese units. 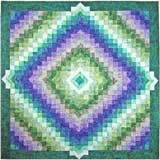 You will make one quadrant of the quilt in workshop. Pattern required. Full day class (some cutting done before class): intermediate level. 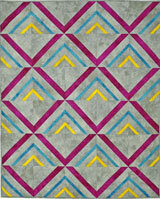 What you’ll learn: cutting, marking and matching ¼” intersections, piecing wedges that will later be sewn together. Pattern required. Full-day class: Advanced beginner level. What you’ll learn: Sewing and pressing pre-cut strips (Bali Pops, Jelly Rolls, etc.) to achieve straight strip sets, cutting squares from strip sets, use of fusible batting, machine quilting in the ditch, binding. Pattern required. Half-day class (cutting done before class): beyond beginner level. What you’ll learn: Piecing simple blocks, designing your own block layout. Full-day class: same as half-day class, with more sewing time. 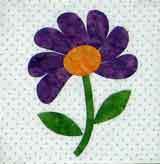 FUSIBLE MACHINE APPLIQUE - Half-day class: all levels. What you'll learn: Transferring pattern to fusible web, fusing appliqué to background fabric, and machine blanket appliqué stitch (or zigzag stitch, depending on what is available on your sewing machine). INVISIBLE MACHINE APPLIQUE -Half-day class: all levels. What you'll learn: The freezer paper/glue stick method of preparing appliqué and the invisible machine appliqué stitch. 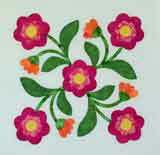 FUSIBLE MACHINE APPLIQUE - Full-day class: all levels. What you'll learn: Transferring pattern to fusible web, fusing appliqué to background fabric, and machine blanket appliqué stitch (or zigzag stitch, depending on what is available on your sewing machine). INVISIBLE MACHINE APPLIQUE - Full-day class: all levels. What you'll learn: The freezer paper/glue stick method of preparing appliqué and the invisible machine appliqué stitch. 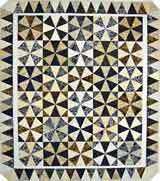 INTRODUCTION TO MACHINE QUILTING: Full-day class: all levels. What you'll learn: Pin-basting layers of quilt, stitch-in-the-ditch using the walking foot, free-motion stitching with and without a marked line, lots of tips, and demonstration of marking tools. Kit required: $10. 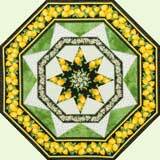 FREE-MOTION QUILTING: Half-day or full-day class: all levels. 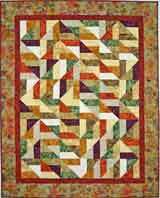 What you’ll learn: free-motion quilting marked and unmarked designs, a variety of marking methods and lots of tips. Kit required: $15. 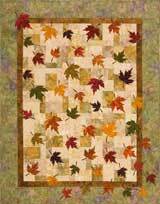 FREE-MOTION QUILTING AND MORE: Full-day class: some experience helpful but not required. Explore free-motion designs that can be varied and adapted to different shapes. Bonus - learn to stitch a spiral using the walking foot. Kit required: $15. BINDING BASICS: Half-day class: all levels. What you'll learn: How to calculate amount of binding required, how to achieve perfect corners, invisible connection of the beginning and ending of binding strips, attaching a hanging sleeve, stitches used for sewing binding down to back of quilt by hand or machine. Kit required: $10. Y-SEAMS & MITERED BORDERS: Full-day class: beyond beginner level. What you’ll learn: How to achieve perfect Y-Seams and mitered borders. Kit required: $8. 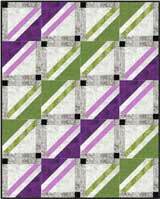 MITERED BORDERS: Half-day class: beyond beginner level. What you’ll learn: How to achieve perfect mitered borders. Kit required: $5.